DO SOMETHING AMAZING AND SKYDIVE FOR CHARITY! PICK A CHARITY – Find a charity you would like to raise money for. SIGN UP FOR YOUR SKYDIVE – Send us an email to make your booking, and pay a 50 USD booking deposit to secure your place. FUNDRAISE – To qualify for your free skydive you need to raise a minimum of 550 USD for your chosen charity. In return for raising this amount of money, your charity will pay for your jump, and receive a $200 donation from your efforts at the same time. Cover the cost of the skydive yourself (if you cover the cost yourself, you can redeem the money back once you have raised the full amount). SKYDIVE FOR FREE – That’s it! You will be securely attached to a fully qualified tandem instructor at all times for the ride of your life.  GET A PROOF OF YOUR CHARITY SKYDIVE! Walk away from your jump for charity with more than just memories for an additional $75. Get your skydive filmed and produced a professionally edited video capturing your whole experience so you can show everyone your DVD and raise even more money for the charity of your choice. If you choose to have your jump filmed, we recommend that you pay for this out of your own founds and not the sponsorship money.